Work for Acronis Backup and Recovery? Learning about Acronis Backup and Recovery? "Acronis good tool for virtualization"
"Fácil, intuitivo y rápida vrs otras soluciones"
Acronis ofrece algo que otras herramientas han olvidado: facilidad de uso sin complicaciones y la rapidez en la recuperación de datos. Protección contra ransomeware y recuperación universal de cualquier plataforma. Pruebe el software por su propia cuenta en forma gratuita y si encuentra algo que no le guste, me avisa. Yo aún no he encontrado algo así. Sí no está seguro, nada pierde con probarlo gratis por 30 días. P:/ ¿Tiene una computadora lenta con un disco duro de platos giratorios? R:/ Compre un disco SSD y reemplace el anterior en menos de 10 minutos con Acronis sin tener que reinstalar el sistema operativo o reconfigurar algo. P:/ ¿Preocupado porque los usuarios de la empresa pueden borrar un archivo o se puede ver afectado por hackers? R:/ Mantenga "n" cantidad de copias de respaldo por semana, meses y años y restaure cualquier versión inclusive en forma remota desde su celular. Active Acronis Active Protection (AAP) para evitar que sus archivos sean encriptados. "Powerful data backup and recovery platform that every business must have." In modern world information is the main secret of success in the development of companies. But considering high amount of data, day by day it is becoming harder to manage such data. Storing data is not always valuable. Data gets valuable when you reach and use it when needed. While searching a suitable solution we found Acronis backup and recovery. Besides storing our information Acronis also provides us very useful features such as searching and analyzing big amount of data in a short of time. My most liked feature of Acronis is efficient data management which saves our time and provides better results. Sometimes we get error messages containing very low information about the error which makes it hard to solve. But after contacting customer support representative we solve it in a short of time. It is not big problem, but a little bit time consuming. Thanks to Acronis backup and recovery we can analyze out past sales, orders and other operations and get comprehensive statistics. It helps us to analyze our weak sides and gives us opportunity to improve the areas which our company is suffering. "Efficient solution for data recovery and backup." At work we are working with a lot of data including customer account numbers, money transfers, annual reports and so on. It is a big amount of data which contains important information for us. There is always a risk of loosing such amount of data as a result of hacker attack or hardware failure. But our company can't afford that risk. Therefore we are using Acronis Backup and Recovery solution in order to keep our important information in a safe place. My most liked feature of Acronis is real time backup feature which makes it possible to reach any information after any kind of problem. Thanks to Acronis we are no longer having problems in case of any data loss. Despite Acronis is a powerful solution for data recovery and backup but it is not affordable for small businesses due to it's price. But considering high costs of data loss it worth to pay for Acronis solutions. At work we are using Acronis mostly to search errors in our old transactions. Usually if there is a mistake we must look at it source and Acronis provides us detailed information about our past operation and transactions. Acronis according to me and my clients still remains the most power full, stable, complete and most easy to use backup software of the modern age. Its easy to install agents and deployment across all platforms makes it the most recommendable backup solution for all virtual environments, physical machines, files and folders and applications. There is not much to dislike although I think the cost can be adjusted a little down wards. Also being a partner based in kenya, we really loose a lot of government opportunities basically because they require the provider to have their datacenters within the country or within the same neighboring countries. We would be glad if they setup two data centers in Africa. 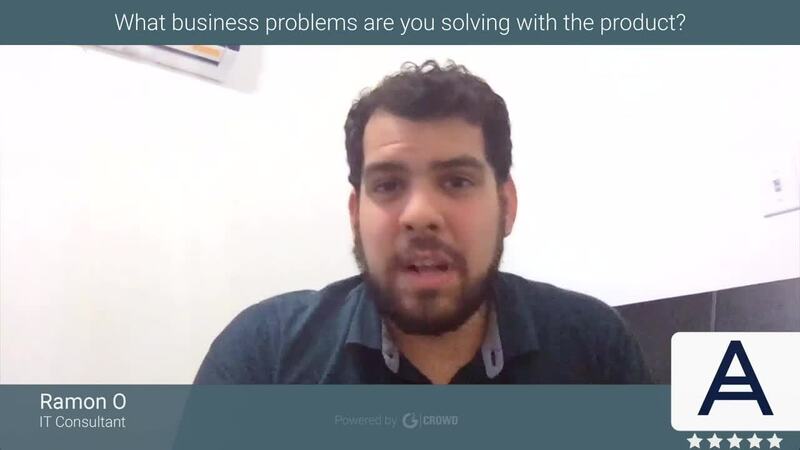 Among the biggest problem is having an easy DRP setup to most business critical clients. The benefits are really many but being able to recover from a backup either on cloud or on premise very easily remains one of my biggest to my clients. my business is a small company and it was expensive to have a backup application that do the backup and the recovery automatic. so i was looking to try some different backup and this was very helpful i used ia while ago but only trial because my boss decide to used another one that is no really for PC. s more for servers and big business. "Terrific features make this backup utility a great choice, with some reservations"
Acronis will virtualize your server or PC from the backup itself, which makes it very quick to simply boot up a failed PC or server that has this backup in place. You can also manage multiple kinds of backup jobs, such as cloud, local, and network, all under the same umbrella. Backups are encrypted, and have lots of options within the backup jobs themselves. You can also set up to run scripts before and after the backups run, which helps when you need to stop database prior to backup. The web interface is slow and can kick you off from time to time. Connections to the website can also be lost. I think the website is the weakest link of this service. Definitely go through the trial. You get the best support during the "pre-buy" phase so use this time to really get to know how you are going to set it up. You do get what you pay for, in a way, in this case you get an exhaustive list of backup and disaster recovery features that are tried and true and awesome, but you give up a fast interface and support can take a while to help out. Being able to back up Windows Servers and other critical PCs, in a manner that I can virtually boot them back up at any time, is incredible. This saved us money, too, migrating off of a similar solution that cost almost 3 times as much. "Very reliable and powerful backup solution." It is reliable backup solution, really powerful and easy to use. Would recommend this to any IT company because it meets all business requirements. Biggest advantage is its reliability. It is expensive for personal use, but there is no technical disadvantages that I can mention. Considering importance of any data, even price is not disadvantage in this case. This is really powerful speed and reliable product, so anyone who needs god recovery system should consider using this product. In previous small organization we used this product really sucessufuly, without any problems. For sure I will try to implement this product im my current organization. Backing up has never been so easy. You pick where you want the data to go and a schedule and off you go. In the unfortunate need to recover this is also simple. I had hoped never to need recovery but was glad that we had picked Acronis as our solution. UI is easy on the eyes. It works and does what it says it would so I find it quite difficult to pinpoint anything to dislike. The only thing I can think of is the pricing, its can seem more expensive then the other solutions but then again I would not like to test how good they are or not. Use the trial that is offered and see if they meet your needs. Dont delay and get a solution in quick as you do not want to be in a position with a system failure and no data that would be dire. We back up all our App servers and SQL farms. We also back up our network drives. This has ensured that in the case of a system failure which we had not so long ago we are able to recovery as simply and as quickly as possible. "Great suite for backup your system"
If you want to save your pc data and have copy of it. Acronis is the software you want to use to do that. With a simple user interface to understand and with a few steps you can manage to make a full backup of your operative system with files and programs. *The process of restore the backup is easy and fast. *Works on Windows, Linux and Mac OS. restoring an image of your OS at first time can be tricky but gets easy to use time after time. If you want to create and restore a pc system acronis is the software to need. I totally recommend acronis to work with. In short time you can create and restore your pc like champ. Add a layer of security when a disaster occurs on a computer, acronis easily makes easy to reinstall latest image created and the computers works like new saving me time and money in the process. At work we are working with a lot of data, client account information, money transfers, annual reports, etc. It's a lot of data that contains important information for us. There is always the risk of losing the data as a result of hacker attacks or hardware failures. But our company cannot afford that risk. Therefore, we are using the Acronis Backup and Recovery solution to keep our important information in a safe place. My most appreciated feature of Acronis is the real-time backup function that allows you to access any information after any kind of problem. Thanks to Acronis we no longer have problems in case of data loss. Although Acronis is a good solution for data recovery and backup, it is not for small businesses because of its price. But considering the high costs of data loss, it's worth paying for Acronis solutions. At work, we use Acronis to look for errors in our old transactions. If there is an error, we should examine its origin and Acronis provides us with detailed information about our past operations and transactions. "Complete solution for all types of backup." The creation of backup copies, is carried out on schedule dates, effectively, everything is automated, so that this type of work, are done in a way, optimal and without affecting the operation of the equipment, at times, were more use is given, the copies are created in a very fast way, if we compare it with other similar applications, Acronis, has a very high point of advantage, in this special feature. I do not like at all, the application in the cloud, to create things that do not work in an optimal way, the program when installed in a windows environment is wonderful, but on the web, it is very annoying, it suffers constant cuts of communication, which does not give me confidence to use it. The automatic creation of backup copies, with scheduled calendars, and without the interference, or interruptions in little indicated moments, help to maintain a database, complete and safe, without affecting the operation of the equipment. Occasionally there are drawbacks with respect to warning messages that contain limited information of the problem then it turns out to be later than the way in which we look for solution, but we are comfortable with the product. Do not hesitate to buy this product, it turns out to be one of the best options for backup and recovery of data, showing an information control panel, various specialized tools for the protection of your files, with one of the benefits of being able to access them in any moment wherever it is. We always handle a large amount of data with which we sometimes have backup problems and we can lose or damage them and what this software does is simply work in a way that saves time in searches and in the analysis of our data and its capacity for recovery and backups. images of a disk. Makes data migration from one computer to another more convenient and reliable. That way we get better results in our area by having everything always ordered and backed up. the ability to seamless and instantly manage our infrastructure from servers to data backup, without having to worrier about cross and retro compatibility across multiple hardware setups. Costs. As our needs grow, the costing grows as well, as expected, but tends to cost more at the end point of the needs, where we believe it should instead benefits the ones with higher needs. Trial. Just ask for a trial, and give it a try. After the trial it will be plain and simple to justify if the investment is worth it or not. In our case it was pretty simple to justify with plain numbers. we have multiple sites locations, and almost all the types of teams and technologies involved. Acronis give us the opportunity to focus on business strategy, instead on operational aspects. The easiness of the user interface and experience, also give us the change to not need an top tier expert to operate Acronis. "Magnifico y completo gestor de copias de seguridad"
Integra en un mismo software una serie de herramientas útiles para mantener copias de seguridad, restauraciones de las mismas y análisis de sistemas. Permite distintos tipos de copias: completas, incrementales, automáticas programadas, etc. Además permite restaurar tanto copias completas como archivos específicos navegando por la copia de seguridad como si fuera un gestor de archivos. Muy útil su sistema de autoarranque en CD o USB para recuperar sistemas de archivos corruptos que no permiten arrancar la máquina. No integra una herramienta que podría ser de utilidad como es un gestor de particiones para poder recuperar copias de seguridad de forma más particular. Algunos procesos de copia y restauración son lentos, pero a cambio ofrecen verificación de los datos. En algún sistema el arranque por USB no ha funcionado correctamente. Copias completas de sistemas y máquinas, sobre todo ordenadores portátiles con instalación limpia que permite volver a su estado de fabríca de forma rápida. "Most affordable backup solutions for a Small Business"
The best solution to backup a SQL Database, a File Server, and a Microsoft Exchange Server. It is very easy to navigate and uses a tree structure backup and restoration methodology. It is cost effective in upgrading annually. I've been always able to validate my backup which is key to a small business. The dashboard is very clean and shows your tasks (either successful or failed), has a one click to the log events, also the ability to see the time elapsed and statistics of a job, as well identifies your backup locations. You will never waste anytime in trying to find a backup. I do find that the error messages are hard to decipher if/when a backup is unsuccessful. However, support is very good in helping out the solution. I strongly recommend this product. However, you should always run a test backup and double check to make sure that you are able to recover a file, a mailbox, a database etc. This solution is very easy to install and implement. Support is live (90%) and always delivers. 1) the ability to store a hard copy backup on a USB drive and store it on an off site. 2) the ability to quickly recover a file within a few clicks. 3) the ability to quickly backup a file. 4) the ability to validate and email a report to my mailbox. "Acronis Backup is a effective and friendly recovery toolkit solution for backing up user data. " User-Friendly. All information is readily accessible in a way the flows nicely. Placement of different option makes sense as you go through the processes of install, setup and everyday usage/maintenance. Real time backup is most great demand now, but Acronis no have implemented a real time feature, and Acronis support needs a of improvement. "Honest Review About a good Backup tool"
I like that I don't have to think about my backups being done. I used to have to manually back up to a hard drive then I moved to a more automated system but still had to baby sit it. With Acronis I don't have to do anything unless I get an email saying there is some sort of problem. I have Acronis managing my onsite as well as offsite backups and I love knowing that my critical data is safe. Sometimes the error messages I receive from a failed backup are a little confusing/unclear. There will be times when a backup runs for several hours and then I get an email saying there was not enough free space on my local backup machine. Couldn't it have predicted that ahead of time by simply running a size query for the target backup as well as the source? Saving or sensitive data and porotecting important files. "Amazing Product! Easy learning curve! It just works!" That we can use the same software for internal and cloud backup. Easy web based dashboard with simple restores. Easy to see dash board monitor and with real time condition of jobs. Its scalable; the agents are smart and will send data to a variety of devices so you can have multiple backups running at once without any bottlenecks. All around amazing product for an overworked IT department without a dedicated backup admin. Getting support is difficult at best. They are not very responsive. I'm not sure how it would scale for 100's of servers. But works great for our 80 server environment. We had Data Protection Manager prior and it was a disaster. It we have a problem with a virtual, we will start the restore to a new box why we are troubling shooting and be back up one way or another in less than an hour. "Very powerful and easy to use tool"
I have not used backup solutions in the past and I found it very easy to setup the Acronis solution and backup my systems without needing to read the manual. I backup Windows 7 workstation boot disks to the Acronis server with NAS storage attached and we make local disk images to a USB stick along with a boot CD and attached both to the workstations. If we did not have Acronis, we would have to do what we did this past summer after a cyber attack, re-install every system. I like all the features of Acronis Backup and Recovery. There should be a community edition free / open source version . we were backing up company systems it does it works and provides great GUI for easy monitoring. I helped in any ways in one situation we need to re install in all systems which got saved by deploying in USB stick. Everything I used to like about them (functionality, efficacy) no longer applies. 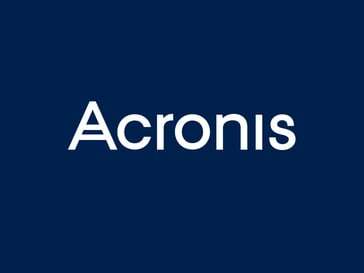 I have been using Acronis products for over 12 years. I would not say that their support was always stellar but since you almost never needed to use it (because their products simply worked) that was never an issue. Support, simply awful support for a product that no longer works as advertised (i.e. Universal Restores are problematic, restores in general now are problematic with 12 and 12.5 ). I have had three support issues within the last 6 months 2 of them were simply left unresolved. For one the support person left the line promising his course of action would work when in fact it did not. For the second it has been ongoing for around 4 weeks. It was finally escalated to a 'specialist' only to have the specialist ask me to do things that if he had bothered to read the notes (if proper notes were taken) he would not have suggested. have your technicians take ownership of a case and see it through to resolution. Get better technicians. at this point I see few benefits there are a lot of other more inexpensive solutions that seem to work better. Thank you for your feedback it is a very important for us! The technical support of our customers is one of the key things that we are focusing on, so we are very surprised that you have encountered some certain difficulties. We apologize for any inconvenience caused. We understand that you are frustrated, but we ask you to help us understand this particular excident, to take certain actions and become better. Do you have your support request numbers, can you share them with us? Thank you and sorry once again for any inconvenience! "Great for just in case..."
Very easy of use is number one thing I like of Acronis Backup, then I like a lot that in a single solution I have folders backup, disk backups, full disk images and clone, multi destination options... So it's just not one thing I like best but two, easy but also very useful and versatile. On some systems we use at work, I found that disk detection worked so so sometimes if there's a pendrive plugged in, it shows as a partition of the internal HDD and not as a different unit, so for disk cloning I ended always paranoid looking at the partitions just to be sure. You can try for free, that's how I started using it, so give it a try and judge by yourself. Well, it solved I can sleep comfortably every night knowing that in case of a catastrophe we can recover everything. This is also due to our backup policy but Acronis help make this policy work and always without a failure. "Acronis es una fantástica elección para Backups"
Lo he utilizado en diferentes situaciones y se ha adaptado a todas ellas. Permite diferentes tipos de copias, restaurarlas, planificar las copias entre otras cosas y todo ello desde un interfaz a mi parecer muy intuitivo. El precio, pero todo lo bueno es necesario valorarlo. A parte que la seguridad de los datos es lo más importante a nivel empresarial. Sin duda merece la pena implementarlo. Desde recuperar archivos borrados hasta llevar semanalmente o mensualmente copias de estos. La opción más interesante que han implementado es la de sincronización. En este apartado pude sincronizar mis archivos con otros ordenadores. Se pueden crear varias sincronizaciones distintas, además mantiene las versiones anteriores de los archivos sincronizados por si necesitamos volver al estado anterior. Gracias a esta opción pude acceder a mis datos desde cualquier dispositivo, incluso si no tienes instalado en él Acronis Cloud, ya que también se puede acceder desde un explorador web. I have a friend that recomend me install this program to do backups easily and I'm very happy. It gives you a lot of confidence that it is a program that has existed for a long time, if it is famous it is because it is so good. Besides that it is easy and fast is that it generates a lot of confidence because everything is well explained. The only downside that I put is that if you download the Acronis True Image, there will be people who will not know how to make it bootable. I, luckily, if I know since I am a computer, and I recommend 100% this program. If you need to do backups I recommendate use Acronis because is very famous and easy to do. I'm backing up important data that I never want to lose. it gets the job done both online or hot with windows running (something that I did not test because I didn't want to add more software to windows and I feel safer making cold offline backup images). Offline where you boot directly from the CD is a little confusing. For example, while loading a laptop with software - windows 10, I made images through out as I added drivers, windows updates, etc. By default, the program looks for prior backups and adds a file for what is known as a incremental backup. Good feature but it should make it clear to the user to choose between incremental and full backups. There were times when I was not sure what to click on - again the interface could be made more clear so you know exactly what to click on like a next button, etc. Really good product. Gets the job done, is adaptable to different situations. Somewhat of a lerning curve, but much more intuitive than 2017. 2016, 0r 2015. Also the ability to turn off Active protection within the program, instead of having to restart into the BIOS makes it MUCH more convenient to remov e past backups. Active Protection guards against ransomeware quite admirably. You cannot go wrong with this product. take it from someone who is a backup obsessive! I'm a long time user of Ghost the corporate version where I make cold offline images by booting from a CD/DVD and dump the image to a separate internal hard drive or external USB 2 or 3 drive. The problem is my ghost v11 is 32bit and can't recognize hard drives over 2TB. So I gave this a shot. First, the CD/DVD is bootable and can be copied and the copy boots and works fine. It even worked on a UEFI bios laptop but I had to go into the bios and enable legacy bios mode. It is a little slow to boot but had all drivers to recognize my hard drive controllers and even USB 3 external drive. It has a hot mode where a drive can bee hooked up after boot and you can scan for it. However, scan takes so long it is quicker to reboot. "Nice way for backing up important data"
It's very easy to use and you can access to all your backed up files from anywhere with your own account. Also it works fine for mobile devices, MacOS and Windows. The price for Virtual Host Protection seems a bit high, there are some other competitors in the market that offer almost the same benefits for a lower price. It's one of the best options for data backup. In the company we've had some issues regarding data recovery, so we're trying to solve them by adding more layers of security to data management. "Information the greatest asset in the world today"
One of the negative things about technology is the complexity in the use of software or software. In this way, the tools for protecting data and information must be increasingly simple so that they are available to more and more people. "Acronis Backup & Recovery system keeps your business data safe!" The automated task allows to run over night task of backup to decrease the impact of network traffic of our office allowing us to be safe and well backed up against unexpected incidents. The features to sync backups with NAS appliances or Cloud Solutions sometimes gets tricky. I would recommend to set new tool sets to integrate this great app with Windows Power Shell automated tasks. This a great tool to do a well managed back up procedure and to save time and money with reports and de-duplication procedures that can take a lot of time and effort. I do really recommend this tool for Servers and Database solutions works smoothly. Acronis is the best backup and recovery solution I have ever come across. I liked it's deduplication, replication and universal recovery function. It is a completely automated solution for backup in an enterprise environment. I have been using it to backup hundreds of VMs. Under the tools section, there are numerous options you can go through which I have never seen with another solution. The only option I dislike is its support. They are not as good to be such pioneer solution. You will also get new SPs to assist you with your cases. Especially if you have recovery issues, you will find t very difficult to get the last SP to continue with as the process is not easy as it looks like. Premium support has some additional perks over the standard support bu their communication skills are very poor. I am using ABR for backing up all of our VMs for continuous backup. It is a perfect backup solution. You can schedule backups to any day of the week and any week of the month with a specific time. You get notifications via email for completed and failed backups. So far the backup solution is the best in the industry for enterprise section. "Cost effective Backup solution and easy to use and provide ease of mine"
Data is the core of any business and for data to be secure is top priority of any business. being dependent on data and data being readily available is critical. What I like about Acronis is that it is a leading tool in data management so you can have a huge amount of data protected without compromising your equipment that is running. Data at time being critical you must be caregul of the solution you implement to carry out back and recovery as the steps must be simple and the data must be in tack and easy to use upon recover. Support is also important we have yet to fully utilize Acronis support so we hope this is streamlined and reliable. I would recommend Acronis Backup and Recovery to any organization that wants a true backup and backup that is easy to retrieve in the events it is need for Disaster recovery. I must say that the imaging solution is very good tool to use. Backup and protecting our images are very critical to our business so we are solving backup and imaging and using Acronis to provide this solution to us. As part of the support staff in my organization that uses Acronis I find the tool easy to use and run the backup and imaging quickly. "Low learning curve thanks to its simple and intuitive interface"
I like the possibility of connect as many devices and users I want. Our tech advicer is really please with the security features, because the information we manage is personal information about our customers, so, the encryption is really important for us. We really like the features it has and that we can look up the activities with have done with the every device we added and we really like that we can automate almost everything and we just focus in our customers. Also like how we can set roles of every user, so we can easily adapt our organization hierarchy. There is not much complain about Acronis Backup and Recovery. Maybe, more features in the windows aplication and more user-friendly documentation. If you need the automation of your backup process and is really important the information you use in your organization, you really have to use Acronis Backup and Recovery, who also offers you security features and it can easily adapt to the need of your organization. Backing up information of our co-workers is really important for our team. We work with insurance companies and the information about our customers is really important for us, because, let us give them a quality and personalized services. We can improve our offer to them, by knowing every customers and their needs, depending of the analysis of the information we collect about them in a year working with us. "Almost every feature I expected, has it and is easy to use!" I enjoyed using Acronis Backup and Recovery. I used it in my laptop with Windows 10 and my Android smartphone and tablet. It is a really user-friendly experience, I like the UI in both, web app and android app. I loved the features it has, that I could backup my messages and you can configurate every single thing in android smartphone. I find the backup management really useful cause if I have to travel and use another device, I can restore the information and continue with my work, and later, backup the información again. I dislike the fact that I am a Linux user and you can not add a Linux device. About the first user experience, I would like to suggest to add some kind demonstration, it is really common to find it in android's apps to get the user to know the app and its basic features or maybe a video with the basic features. Sometimes the backup management console feels that it is too slow to load when you sign in or navigate between features. I would like to select what I want to backup from my laptop like in the android app, I think the windows desktop app needs improvements, because is not as complete as it is the android and the web app. You really have to give it a try to Acronis Backup and Recovery and let them make the job, that we usually forget, until it is too late to backup. Sometimes I have to travel and I cannot take my devices with me, but I do need the information, so, I find useful to backup often the information I need in the projects I have, in both, android smartphone, tablet and laptop. I find really userful backup customers messages. The only disadvantage I find about it, is that my laptop is that I am a linux user so Icannot backup this device. I have to love all things mobile theses days, because it's the way of the world, so it's great to have a product that works as efficiently & seamlessly on the go, as it does sitting at your desk. The hard copy to USB is a must for me & Acronis has that covered. I can't think of anything they haven't got or is an improvement over other's I am using. So far, so HAPPY! The only thing I dislike is my own tendency to change. I am hesitant to give final review, before a solid 6 month trial, but I feel Acronis has already earned it in my business & I've only been a user for 3 months. If you are having glitches of ANY kind with what you are currently using, you owe it to your mental health to give Acronis a try. I am solving all kinds of back up problems, as our previews systems were way out of date & when we finally did switch at least it was worth the wait. I have not found anything I do not prefer or dislike other than the cost. There are a lot of details to this program that will take time to get used to using before understanding completely. A huge benefit is the cloud backup service and capability of mobile usage to also access logs and issues. The multiple functions of backing things up and the amount of storage is a key piece to this program as well. Especially from a business standpoint where we're all running electronic devices from home/office locations in several states to keep our business running and our key employees connected is also a huge bonus. other tools like acronis are very complicated when using them. which can limit the scope of users who use it. Acronis must work to facilitate the handling of the tool in an easier and more comfortable way. the applications must be more practical in their use so that any company and area can access and manipulate every aspect of the program. Interfaz y herramientas muy fácil de usar. Se pueden generar copias de seguridad tanto en local como en la nube. Puede ejecutarse varias copias de seguridad simultaneas. Se pueden programar tareas antes y después de las copias de seguridad. La aplicación web es algo lenta. Se pierde la conexión en algún momento. Requiere realizar pruebas antes de hacer la primera copia para familiarizarte con los errores mas comunes. Es muy fácil de usar y no es muy caro su mantenimiento. La seguridad de la información es lo primero y esta herramienta es básica para conseguirlo. Perdí toda la información de mi PC de la oficina. Desde que me facilitaron esta fantástica herramienta genero copias de seguridad todas las semanas. Ya me salvó despúes de averiarse mi disco duro local. "Back up your information comes first"
- Recover your information without having to be the same hardware you can even take your backup to a virtual machine. Being able to take an image before testing installation options of new applications and being able to revert back to a known state easily and reliably. Backing up unique machines for special requirements to minimise possible downtime on critical applications. Semi complicated to setup. May different programs need to be installed. This isn't really a problem if you have a central server but to backup single computers, onsite and then replicate, this can be reasonably involved. Updates require updating several programs at the same time. Easy as long as there aren't any issues. Sometimes updates mean starting new backup chains. This can be time consuming if you have to replicate a traditional full backups to the cloud. Acronis makes it easier to backup PCs to Network drives or even just an external USB drive. This gives us multiple ways to ensure that client's data is safe and will be available should there be a system failure. "A Simple Yet Comprehensive Solution"
Acronis has two things going for it that I really like. Firstly, it's simple to use. The options are presented in a minimalist fashion and you don't have to be a techie to figure out how to get it to do what you want it to do. Despite having such a clean interface the program is still powerful and comprehensive in its feature set, and techie's will like its advanced capabilities. There is no explanation for the terminology. This poses little issue for a technophile, but the average user may struggle. For example, most users don't understand the differences between a "disk" and a "partition." Tool tips are always welcome features but don't seem to exist here. It's well worth the price paid. It has all the features you could want within an easy to use interface. What more could you ask for? Cloning drives, and making sure that all of the partition information is copied. This saves a lot of time. This is the only backup solution that has a complete feature-set for the whole enterprise solution. Restoring images to different hardware, and Virtual Machines, can save a great deal of time. This is especially true for engineers and others who spend a great deal of time configuring the PC environment. I first started using Acronis 5+ years ago. I attempted a universal restore, and attempted to restore to a VM. Neither were successful. I then went to search for support on their website and found the options insufficient to solve by problem. I have just begun using it again. Clearly they have grown as a company and a platform. My hope is these issues have been resolved. Watch the videos, take advantage of the free trial, and test it out on your systems. As a software engineer, a great deal of time is spent configuring pc dev environments. Acronis protects this work my allowing you to roll back, and even port to new hardware. "Painless & Reliable Backup Solution"
Acronis backup and recovery has had a massive impact on our recovery solution. Bare metal restore from the cloud is a feature we have used the most, making recovery very quick and simple. Cost of data storage can be pricey if you are backing up large disks. Only around 12p/GB but when backup up terrabyte drives this can be expensive. Acronis Backup and Revovery has come on leaps and bounds over the years and still remains one of, if not the best backup solution available for SME. Very fast to implement and backups instantly available. Fast recovery in the event of a desktop failure, daily incremental backups and an excellent cloud based structure has helped us to redeploy images and have desktops up and running within an hour. Whats to like, well everything, what a reliable recovery and backup software. Made by a name you can trust. Will work across various operating systems. You can back up drives to wherever you require. You can schedule to be as often as you need. The ability to clone hard drives from drive to drive or to a file. One of the most common imaging tasks is replacing a failing hard drive, and much of the available drive imaging software fails when bad blocks are encountered, but not Acronis! I dislike the confusing array of different versions. For example, there is a version you get free with some new hard drives, there's also a Premium version, etc. I find it a little confusing. I just want to buy it and know it has the functionality I need. It can also be a bit complicated to use. Test it out and see if it meets your needs before committing or cancelling your current service. I tried cloning with another leading product, but it failed. If there's an issue, in my experience it's because the drive is too damaged and must be sent to data recovery, which isn't Acronis' fault of course, or due to my own error. I am happy to know that Acronis is an industry leading product, and that's because it just works. Period. "Acronis Backup - Amazing tool"
We utilized the CD/DVD adaptation, not the server/customer variant. It's quick! I would backup be able to a 500GB hard drive in 30 minutes and reestablish it in 45-a hour and have it work practically unfailingly! I like that we could reinforcement and reestablish from a neighborhood USB drive or a system share. I do like that it's a linux-based boot circle as well. The UI was extremely easy to use and made it exceptionally easy to reinforcement and reestablish finish frameworks. When I was utilizing it you expected to utilize a CD/DVD drive to boot, it didn't deal with a USB stick. I expect there is a USB rendition accessible however. I likewise disliked that if a disappointment happened the framework would simply reboot, it would not enable you to perceive what happened. All inclusive reestablish didn't fill in and in addition I had trusted with Dell tablets. Excellent tool and keeps your data safe. Recovery is so fast in boot mode which very less software does. It helps you to keep things safe. We were using Acronis as a make shift imaging solution for windows labs and laptops. The reason we went with Acronis was because it was affordable and since I was at many different clients, taking a CD was easy instead of having to set up a PXE server at every client. We were also able to have multiple CDs to allow multiple computers to image at the same time from a network share. "My experience for Acronis backup and Recovery"
The way it backs up and Recovers the data. The speed at which it recovers can be a bit more i think. I also had other people (Friends and family) who is using the data recovery in their day to day life. As far as my experience i do not have any cons or dislike. I love the way it recovers data and backs up the data. I love the way it backs the data and recovers it. The effiecieny and the security is actaully good than waht i thought. "Reliable, fast and easy to use "
I like how reliable and easy to use this product really is. I have worked with the acronis cloud back up solutions. The management portal is friendly to the user whether you have a background in IT or not. In addition, you can add the servers you want to back up using a small agent. On the other hand you have tools to back up information from other clouds like outlook mailbox from office 365. I have used it to back up mailboxes from my customers. Finally, the restoration process is reliable and so far it has been sucessfulI 100% of the time. I have been using this tool for about 1 year and I have not found any drawbacks nor our clients. Maybe you can improve the search tool to include more options and a more interactive interface. "Flexible and robust data recovery solution that offers more ways of storing and recovering drives"
Very fast results, super-powerful and flexible disk and file backup program, complete with online backup storage. The encrypted Storage are very secure. You can backup and restore physical, virtual, cloud, applications, and mobile data. The interface can be complex and sometimes confusing. It's expensive, probably better suited to larger rather than smaller businesses. This is not the cheapest solution but it's definitely the most completed suite of backup and restoring software. It's perfect for backing up data or system images in recovery situations or when a new system is being installed. Being able to restore from a backup rather than installing all programs and software and migrating data is a real time saver. "Acronis Backup & Recovery "
"Easy to Use Backup Solution"
The resource requirements of RAM and CPU for such a powerful application are minimal compared to other solutions. The rapid restore options are great as well as the ease in which one can perform data migrations. Remote management is a bit tedious compared to similar programs, perhaps we shall see improvements in subsequent updates. It is a flexible application which includes all of the features required to work with managing your organisational data backups and relevant recovery in case of any incidents. Student Relationship Management system, storage and management student biometric data and academic history for Learning Analytics. * We monitor all Acronis Backup and Recovery reviews to prevent fraudulent reviews and keep review quality high. We do not post reviews by company employees or direct competitors. Validated reviews require the user to submit a screenshot of the product containing their user ID, in order to verify a user is an actual user of the product. Hi there! Are you looking to implement a solution like Acronis Backup and Recovery?